• PLOT SUMMARY: "The Arms of the Octopus!" Pt. 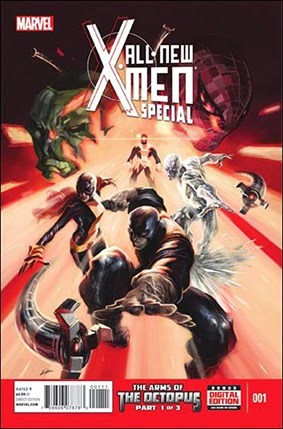 1 The All-New X-Men cross over with the Indestructible Hulk and Superior Spider-Man! What does Doctor Octopus want with the All-New X-Men and HOW IS HE ALIVE?! This gets the immediate attention of Superior Spider-Man, but what does it have to do with the Hulk? Cover by Alexander Lozano (W) Mike Costa (A) Kris Anka.